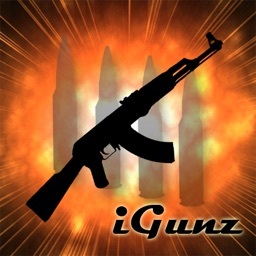 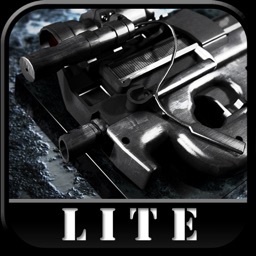 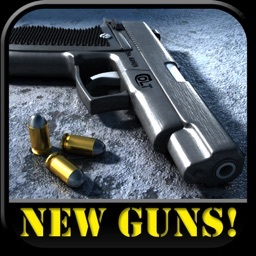 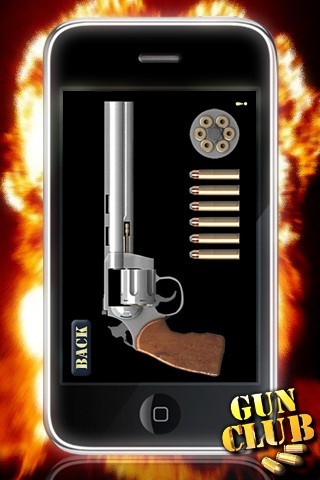 Become a member of the AppStore’s finest collection of gesture and touch controlled weaponry with AAA GUN CLUB lite! 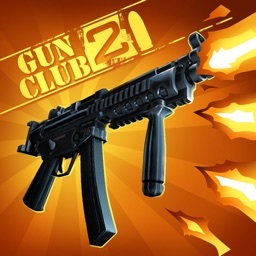 Select from classics such as the Colt hand gun & Magnum Revolver all the way through to the Uzi Sub-machine gun. 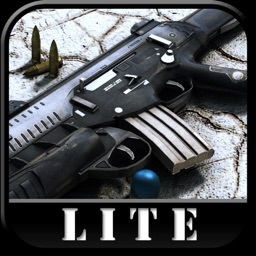 All weaponry has been modeled, animated and rendered exclusively for AAA GUN CLUB lite. ➢ NEW combat shotgun with flashlight! 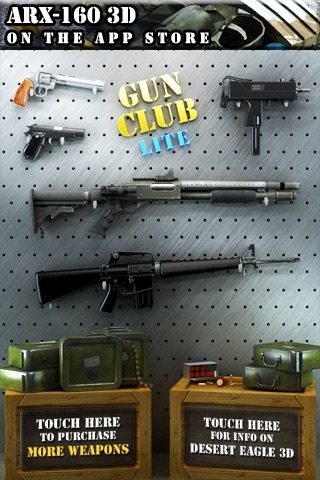 Join the most comprehensive & exclusive club today! 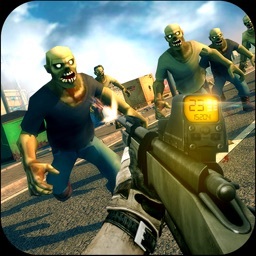 Looking for 3D action? 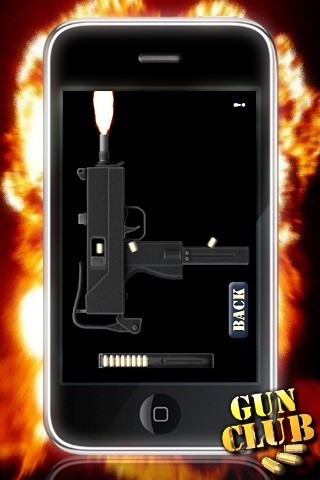 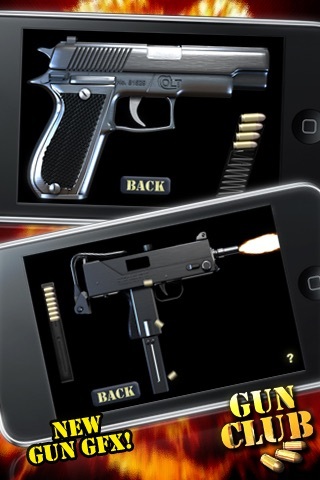 Now also available on the appstore, "Desert Eagle 3D - GUNCLUB EDITION" & "ARX160 Assault Rifle - GUNCLUB EDITION" The most comprehensive, interactive 3D guns ever produced for the iPhone and iPod touch. 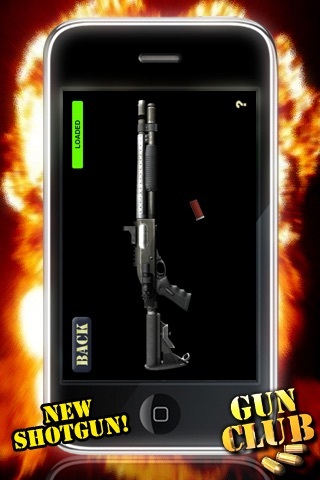 Search for 'Desert Eagle 3D' or 'ARX160 Assault Rifle' for more info!